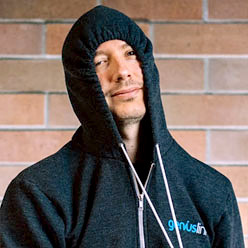 GeoRiot was born in early 2009, initially as a spin-off from one of the team's many earlier endeavors of creating extreme sports soundtrack websites that used the iTunes Affiliate Program and the Amazon Associates Program. GeoRiot was founded on the basic principle that online marketing should be profitable and accessible on a global scale, but unfortunately back in 2009, it was anything but. In fact, when it came to earning commissions from international sales in iTunes and Amazon, the Internet was simply, broken. Since then, we've successfully bridged the purchasing gap for iTunes and Amazon and are now furthering our reach to other fragmented storefronts around the globe. Because the online commerce landscape continues to shift and is no longer just fragmentation by country (but now device, operating system, language, and more) we continue to evolve right along with it. In 2015, we changed our branding from the company name of GeoRiot, to Geniuslink to better reflect that we now solve not only the problem of geo-fragmentation - but fragmentation across all of the ways people can buy products. 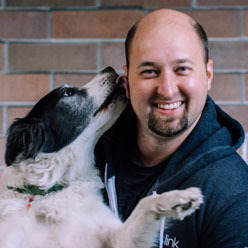 Aside from being a co-founder, Jesse is also the Chief Technology Officer of Geniuslink, and makes sure the engineering wheels on the bus go round and round. 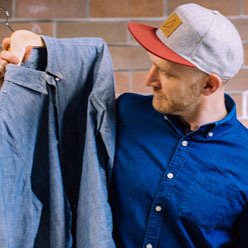 Originally from Montana, Jesse has been here since day zero and co-founded Geniuslink with Shannon and his best friend, Jesse Lakes. 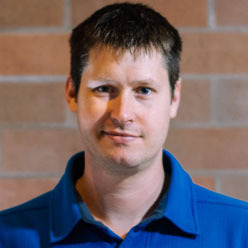 Before co-founding Geniuslink and after graduating from the University of Montana, Jesse was a software engineer at Microsoft. Jesse is an instrument rated private pilot and in his spare time, he likes to fly himself, his friends and his family to fun destinations. 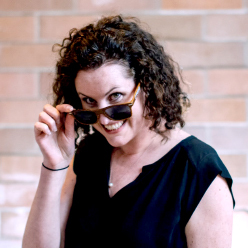 Shannon was the first full-time Geniuslink team member and now as the COO, she spends the majority of her time on growth, data and analytics, supporting our support team and mapping out logistics. 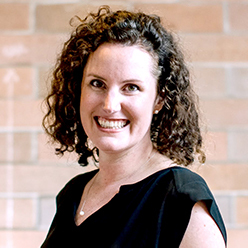 Before Shannon co-founded Geniuslink, she was an iTunes Store Engineer, and before that, she was in Aerospace. When she gets out of the office, her family is number one, but she loves pottery, wine tasting and being outdoors. 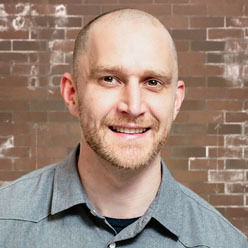 Steven leads product development and helps Geniuslink stay user-centered through design, research and product management. 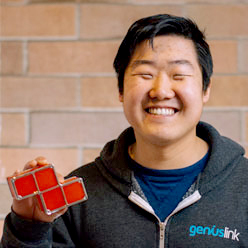 Before Steven joined the Geniuslink Team, he co-founded and exited two tech startups and then spent four years consulting for other companies, which is how he came to know Geniuslink. Steven is from Missoula, Montana where he attended the University of Montana. 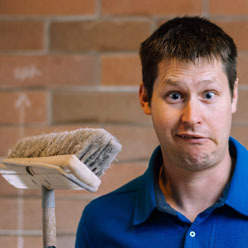 When he’s not designing or talking with Geniuslink clients, he likes to maintain a healthy balance between sports and couch-potato’ing with his wife and two kids. Mario oversees all of our growth initiatives, everything from our booth at the Farmer’s Market to our GeniusLove program. 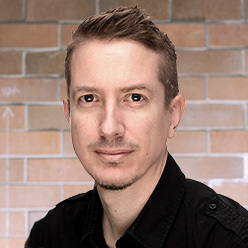 Before coming to Geniuslink, Mario was the CMO at the University of Montana and prior spent 10 years running digital strategy divisions for WONGDOODY and R2C Group. Mario is originally from Germany and when not marketing, he spends every free moment on his bike, in the mountains or in some river somewhere. Joey was our first intern and now he prioritizes and manages all of the projects that the engineering team works on. 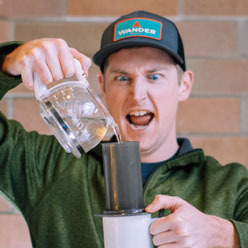 He’s also the only one in the office who knows how to use the Aeropress. Yet another native Montanan, Joey grew up on a small farm in the Bitterroot Valley, and then worked for a large cattle ranch all through high school and college, until graduating from the University of Montana and joining the Geniuslink Team. 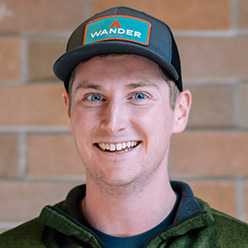 In his spare time, he loves to mountain bike, snowboard, rock climb, and hike - basically anything that gets him outdoors and away from the big city. Rye designs and implements back-end and front-end features of the Geniuslink Service. 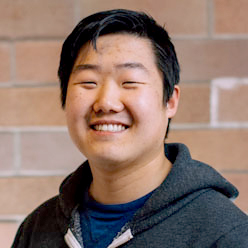 Before joining the Geniuslink team, Rye was a software engineer for a startup in Montana after graduating from the University of Montana. From Missoula, Rye loves traveling, music and rock climbing. Originally from Marlow, England, Matt’s been fielding support questions and serving as our main point of contact for our clients since December 2017. 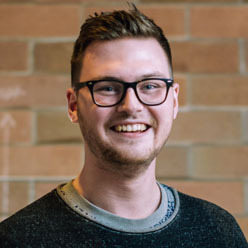 Before he joined the Geniuslink Team, Matt was doing wide-format design and machining, graphics and package design. 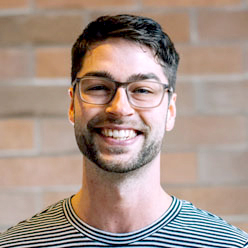 When he’s not supporting our clients, managing accounts or curating reports and analytics, he enjoys VR, 3D modeling, 3D printing, graphic design and being a serial Redditor. Natasha’s main job here at Geniuslink is to make sure things don’t break. She writes tests to ensure all the existing code works, making it easy to fix bugs and add new features, with the goal to make testing closer to being 100% automated day by day. 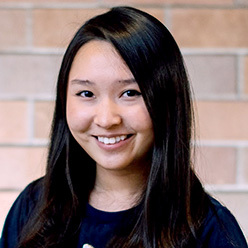 From Jakarta, Indonesia, Natasha came to the United States to attend Seattle University. 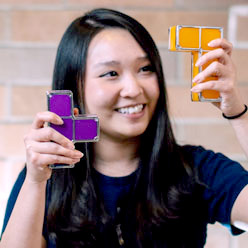 Before joining the Geniuslink Team she worked as a contractor for Microsoft, testing Xbox games in a certification lab just after graduating college in June of 2017. In her spare time, she loves to work on side projects, watch Netflix and eat ice cream. 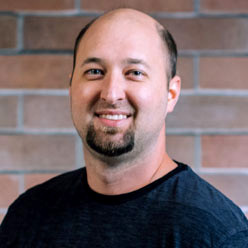 As a software dev from Yakima, Washington, Kyle builds applications in Vue, TypeScript and C#. Before joining the Geniuslink Team, Kyle was working on an app that would change the way people learn languages. In his spare time, he likes to code, read, game and kick back with friends and a cold one. Born and raised in north Seattle, Andy shows our clients how to get the most out of their Geniuslink accounts and keeps our Knowledge Base up to date. He’s also our official office juggling coach! 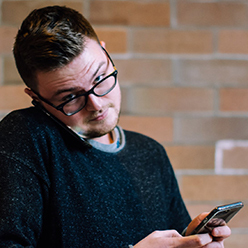 Before joining the Geniuslink Team in December of ‘17, Andy was a Social Media Manager, writing content for mobile games. A grandmaster of Gif-Fu, he relishes any opportunity to develop the ‘modern hieroglyphics’ that is posting obscure emojis on Slack. 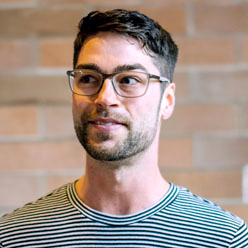 Andy is passionate about food centric gatherings and working together to save the world. When he’s not flying toy airplanes around the house with his three year old son, he enjoys writing, party games, and dancing. Improve the online commerce experience for both consumers and promoters through offering an intelligent links that works, simply. We're raising awareness of the fact that every day, Internet marketers, app developers, book publishers and authors, record labels and global brands are unknowingly losing sales and customers to broken links, error messages and poor user experiences. We're challenging the outdated notion that you use a link with a single destination for your entire audience across devices, countries, and operating systems. Our service is focused on liberating your lost sales due to "dumb" links. Your clients will riot (with joy) at the experience they get with your links, and we predict Zen-like peace and calm as you come to realize your marketing campaigns are more profitable than ever, that you’re a part of a paradigm shift in online marketing, and you're helping to overturn one of the biggest problems facing the industry in the last decade. Geniuslink - making the Internet a better place, one click at a time. Get 14 days with infinite clicks for zero dollars. "Is Geniuslink safe to use for Amazon Associates?"